DCBebop.com - interviews and photo sessions with Artists, Musicians and people engaged in varied types of Business. It includes links for National, International and Local News, Weather and other websites that provide helpful information. 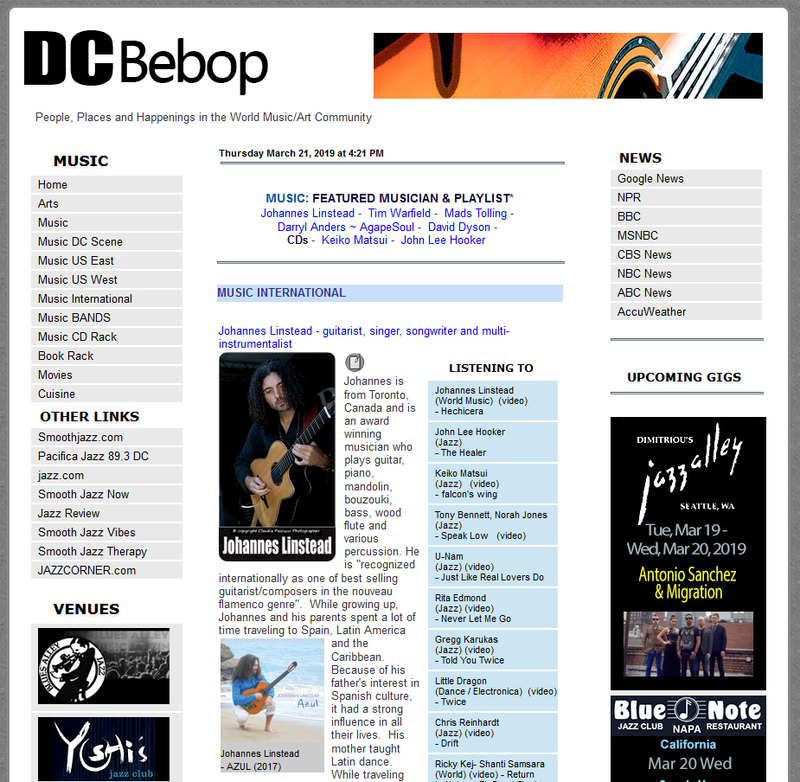 DCBebop.com is a public relations concept in support of musicians and artists. 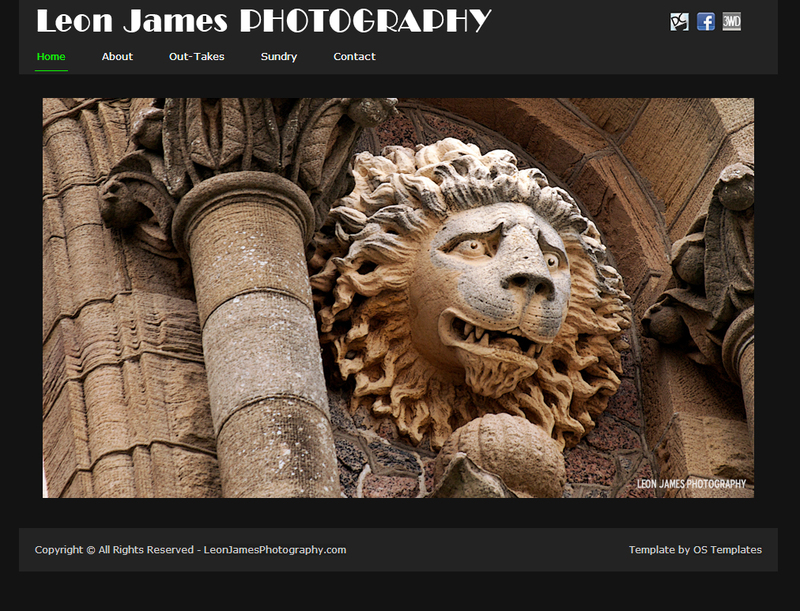 Leon James Photography - A visual chronicler, capturing and cataloging images that stir the imagination. Photographing objects and vistas to share the color, texture and form of what he sees. Along with the work of James Van Der Zee, he finds inspiration in the images of Ansel Adams nature photography. From his personal slant on life, he sees it as a photographic walkabout with each new step bringing to light a new person, place or object to capture and share through the image. 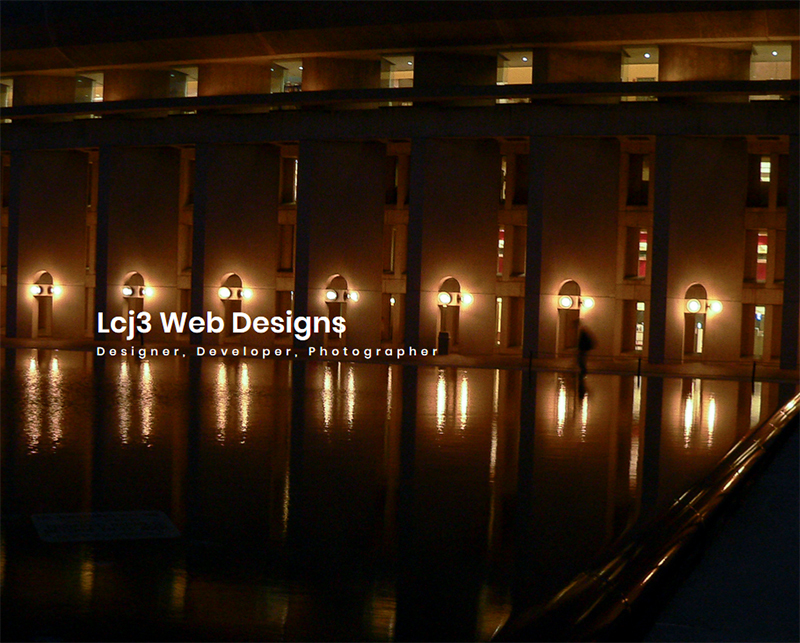 Lcj3 Web Designs - Bootstrap and HTML5 designs for musicians, artists, small business and non-profit organizatons.